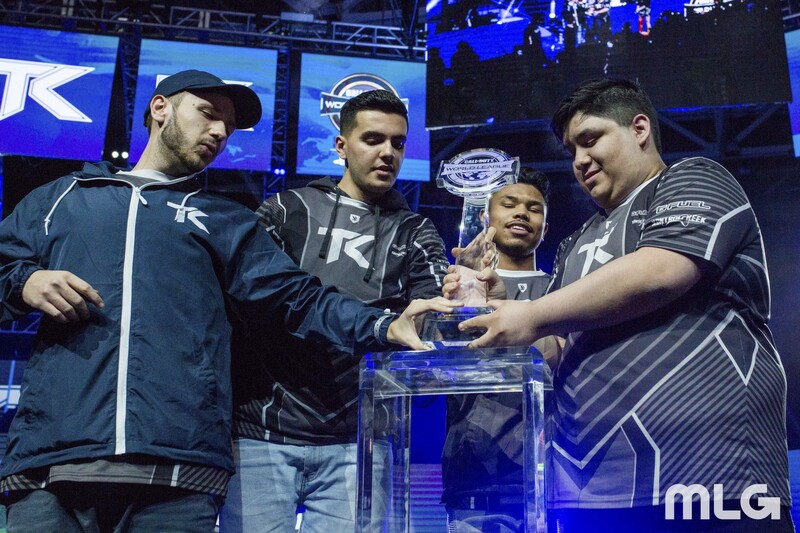 This past weekend, Team Kaliber won against OpTic Gaming to take the trophy at the Call of Duty World League Dallas Open. It was an intense match and a surprising win for many viewers, but I’m glad they came out on top in the 3-day Call of Duty: WWII tournament held at the Kay Bailey Hutchison Convention Center. The others to make it to the top four included Teams Splyce and FaZe Clan. With Team Kaliber winning, they were able to claim a huge portion of the event’s $200,00 prize pool, which is part of the new season’s $4.2 million prize pool. This is the biggest one in the history of Call of Duty esports, and the open bracket featured over 200 teams, all trying to prove themselves as the best Call of Duty players. Activision invited us out to check out the CWL Dallas Open this past weekend, and this was my first time truly digging deep into the world of esports. After watching the pro players, I had the urge to pick up a controller and battle it out in the video game world. The most important lesson is that communication is king. And hearing Team Kaliber’s philosophy on how each member should be playing is refreshing, which is to play to your strengths and style. The biggest fan-favorite team was OpTic Gaming, and they were like well-oiled machines. They truly looked unstoppable, with zero losses before their battle against Team Kaliber. And listening to them communicate was magical as they update each other on who’s dead and enemy locations. The community is very important to MLG and Sledgehammer Games, and they have been adamant about feedback. Different game competitions have different rules, and since this was my first time watching a Call of Duty competition, I was surprised to see that each team consists of only four players. which is different than public matches. Sledgehammer Games has worked on Call of Duty: Modern Warfare 3 and Call of Duty: Advanced Warfare. It would seem that the game going back to its WWII roots has something to do with the turnout. It’s amusing to see how developers can have all the advantages since they are making the game, but once the shooter is out, they’ll be outmatched by pro players. You can check out highlight videos during the CWL Dallas Open at MLG.com/CallofDuty. Next up is CWL New Orleans Open, the season’s second open event, which takes place on January 12-14, 23018, at the Ernest N. Morial Convention Center. General admission passes are available for $59.99 each (plus applicable fees and taxes). The premium pass will include the general admission along with event t-shirt and one month of MLG GameBattles Premium for $89.99 (plus applicable fees and taxes). The VIP ticket will go for $299.99 (plus applicable fees and taxes), and you will get an event t-shirt, event jacket, one-hour early entrance to the venue, access to the VIP Lounge and more. You can purchase them at MLG.com/CWLNOLA.